The cast of This Is Us is so good at tugging on our heartstrings on the small screen and it turns out the actors can also give us all the feels in real life, too! This year, the tear-jerking drama is a finalist in two categories at the E! People's Choice Awards and it's well deserved to say the least. The sentimental series is up for Show of 2018 as well as Drama Show of 2018. No surprise there! In television's top category, This Is Us is up against hits like Grey's Anatomy, The Big Bang Theory, 13 Reasons Why, and surprise write-in finalist Shadowhunters: The Mortal Instruments. When it comes down to just the drama shows, the popular program is duking it out against Grey's and 13 Reasons once again, but is also taking on The Handmaid's Tale and Riverdale. With the stakes so high and the competition so fierce, you'd think the cast would be a little nervous, right? The actors on the show are over the moon about being finalists in multiple categories, and can't help but gush about their faithful fans whenever they hit the red carpet. Not to mention, Mandy Moore , herself, is a finalist in the Female TV Star of 2018 category, which is again well deserved. E! News caught up with This Is Us' leading lady at the DuJour magazine party in September to get her reaction to the big news, and we have to admit that it is everything. 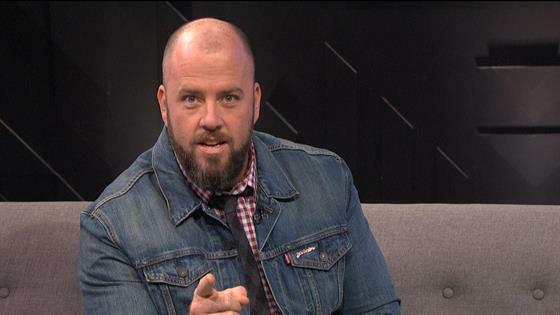 Plus, we also chatted with stars Milo Ventimiglia—who was nominated for Male TV Star of 2018 before getting knocked out in the final round of voting—and Chris Sullivan about this big moment for the show. All the actors had the most perfect responses to the recognition, so we just had to share them with you! Take a look at their amazing reactions below, and don't forget to tune in to the 2018 People's Choice Awards on Nov. 11 to find out if This Is Us will take home those trophies. Moore was too cute while gushing about being a three-time finalist at this year's PCAs. "I'm flabbergasted," she admitted, before raving about the fans who made this nomination possible. Aww! What a sweetheart! Ventimiglia AKA Jack Pearson, on the other hand, took his co-star's red-carpet humility and upped it to a level of self-deprecation during his interview! "Oh man, no, no, no. Vote for someone else, man," he told E! News. "Someone who is much more deserving than me." He's too modest! After all, he was nominated for a reason. 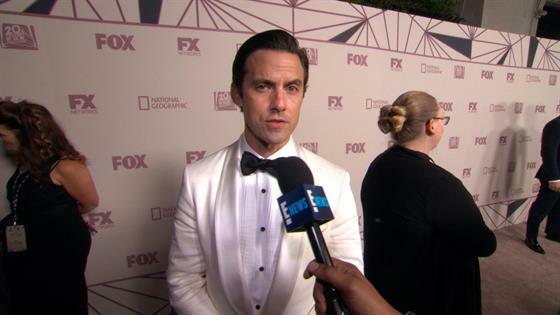 Sullivan, who plays Toby on This Is Us, couldn't stop raving about the show's faithful fans when speaking out the PCAs finalist nods the NBC drama received. "For the fans to have the opportunity to vote on the things they are connecting with is so important to us," he explained. "It means the world." He also admitted he hid their PCAs trophy from last year on the set while they were filming, so if you look really closely throughout season one, you might be able to spot it! Not matter what happens at the award show this month, we're so thrilled for the cast. That being said, we're even more excited to find out who's going to win those coveted trophies at this year's PCAs!